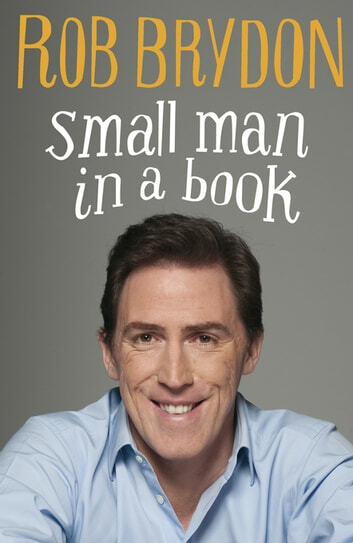 Rob Brydon tells story of his slow ascent to fame and fortune in Small Man in a Book. A multi-award-winning actor, writer, comedian and presenter known for his warmth, humour and inspired impressions, Rob Brydon has quickly become one of our very favourite entertainers. But there was a time when it looked like all we'd hear of Rob was his gifted voice. Growing up in South Wales, Rob had a passion for radio and soon the Welsh airwaves resounded to his hearty burr. However, these were followed by years of misadventure and struggle, before, in the TV series Marion and Geoff and Gavin and Stacey, Rob at last tickled the nation's funny bone. The rest, as they say, is history. Or in his case autobiography. Small Man in a Book is Rob Brydon's funny, heartfelt, honest, sometimes sad, but mainly funny, memoir of how a young man from Wales very, very slowly became an overnight success. Rob Brydon was brought up in Wales, where his career began on radio and as a voiceover artist. After a brief stint working for the Home Shopping Network he co-wrote and performed in his breakthrough show, the darkly funny Human Remains. He has since starred in the immensely popular Gavin and Stacey, Steve Coogan's partner in The Trip, and was the host of Would I Lie to You? and The Rob Brydon Show. He now lives in London with his wife and five children.